There has been a name that Charlie mentioned at least 2 times that I know of. The name is “Doc Hartman”. Any idea who or what a Doc Hartman is??? Not Doc Martens, was it? Hey Grump, did you end up reading the hard copy of Myth of Helter Skelter? Any different from what was on the internet? Charlie had a thing about ego, even writing a song about it, Old Ego is a Too Much Thing. My guess is that he encountered Doc Hartmann's Ego Psychology in the prison system and incorporated it into his hodge podge philosophy and his rap. Well didn't Hartmann do work on adolescent psychology too? Around the time Charlie would've been at the Training School for Boys? I mean, I'm definitely stretching here but could he (Charlie) just be free associating a name he heard at the time he was a kid in jail and first seeing psychiatrists? Makes sense, as Charlie was constantly talking about Fruedian ideas and if he can't read that well, how would he know about them? 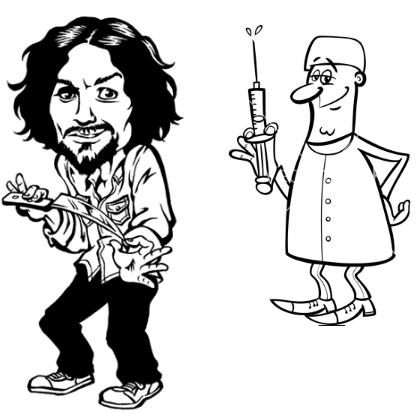 The doctor probably believes in Fruedian Pyschology, related it to Charlie and Charlie started believing/preaching.